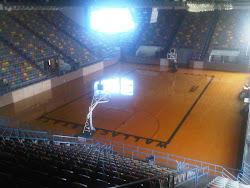 Wallace State’s athletic teams and facilities are renowned throughout the Southeast and the nation. The Wallace State Lions compete in Division I of the Alabama Community College Conference and the National Junior College Athletic Association. With four Olympic medalists, six national championships, 15 ACCC All-Sports Trophies, numerous conference titles and hundreds of All-Americans, athletic excellence is a Wallace State tradition. 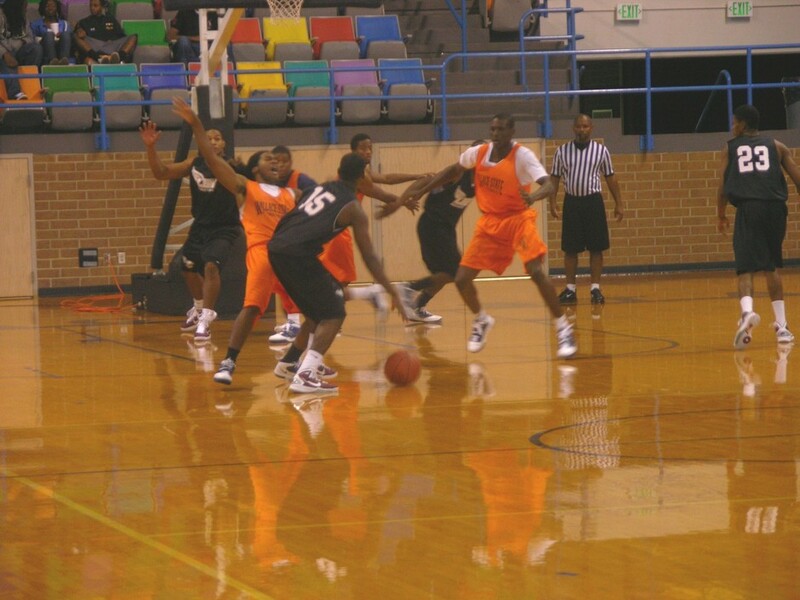 Basketball is working its way around the corner for both high schools and colleges alike, and that is certainly no exception at Wallace State Community College in Hanceville, Alabama. The Lions geared up to take on the 2010 season with an exhibition game October 20 against NAIA Lee University out of Tennessee. Wallace State’s new head coach, John Meeks, has ties with the Flames where he was an assistant coach for three years, before going to North Carolina to take the head coaching position at Louisburg College, where he compiled a 51-15 record. Meeks essential tools to achieve greatness on and off the court include: selflessness, loyalty, sacrifice, motivation, effort, discipline, enthusiasm, pride and confidence. At times on the night, Wallace State showed most of these tools. 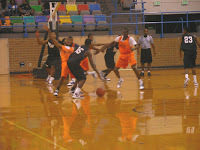 However, they were not enough as the walked away with a 70-55 loss at the hands of Lee University. The Lions looked poised with enthusiasm, discipline and effort the first 10 minutes of the contest; with five different times Wallace holding the lead in the first half. With the Lions trailing 5-3, Marese Phelps hit consecutive shots to give Wallace State an 8-5 lead. Phelps swapped treys with the Flames Stephen McClellan, but Lee was able to work its way back into a tie with the Lions at 11-11 with 9:57 left in the half. With Wallace State holding a slim 13-11 lead, the Flames reeled off 10-straight points, before the Lions new what hit them. Wallace seemed to have forgotten for a short stint about discipline and confidence on the floor. But pride, effort and motivation soon took over and the Lions continued to battle to a 34-21 half-time deficit. Wallace State clawed and scrapped their way through the second half, but could get no closer than 10 points. Phelps led the Lions in scoring with 23 points, the only Wallace player in double-digits. Javan Wells followed with eight points, Lazedrick Williams added six points, Terrell Owens and Jay Watkins each had four points, Martell Blue, Wade Collie, Corey Hunter and Tre Lee each had two points, and Shamon Cox chipped in with three points. Lee University was led by Rico Cunningham with 21 points, Johnny Godette with 15 points, Eddie Toliver and McClellan each with eight points, Elizha Burdette and Jerel Blocker each with three, Matt Stillwell and Roy McFadgon each with two points and Pat Shaughnessy with five points. Wallace State welcomed John Meeks as its new men's basketball head coach in late July. Meeks replaces Allen Sharpe, who accepted the head coaching position at the University of Arkansas at Monticello in May. Meeks has assembled lofty credentials during a young coaching career. He comes to Hanceville from Louisburg College in North Carolina where he compiled a 51-15 record in two seasons. During the 2009-10 season, Meeks guided the Hurricanes to the National Junior College Athletic Association (NJCAA) Basketball Championship Tournament in Danville, Illinois. Louisburg notched the school's first victory in the tournament under Meeks and finished in the final eight, leading to Meeks being selected as the 2010 NJCAA District 15 Coach of the Year. Meeks coached at NAIA Lee University (Tenn.) as an assistant for three seasons before earning the head gig at Louisburg. In his eight-year career, Meeks has coached six NAIA All-Americans, 10 All-Conference players, four conference MVPs, one defensive player of the year and two All-Region performers.